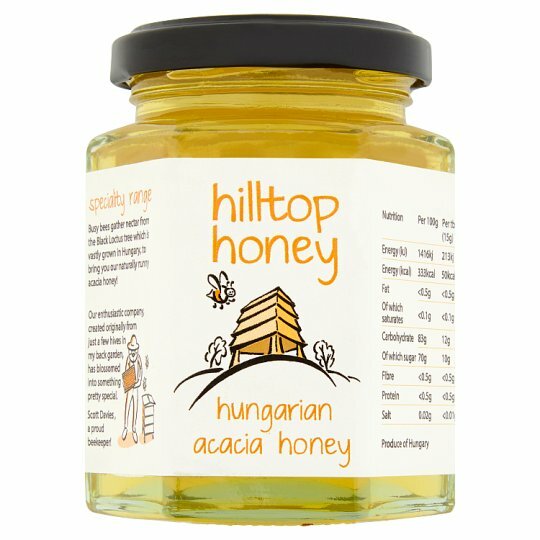 Busy bees gather nectar from the Black Loctus tree which is vastly grown in Hungary, to bring you our naturally runny acacia honey! Our enthusiastic company, created originally from just a few hives in my back garden, has blossomed into something pretty special. Scot Davies, a proud beekeeper! Unsuitable for infants under 12 months of age.